The leg on the affected side is usually extended and externally rotated. Guarding of the hip – they will be unable to weight bear and cannot move the affected leg. Internal rotation of the leg will increase the hip pain. Direct palpation of the hip may not cause pain. 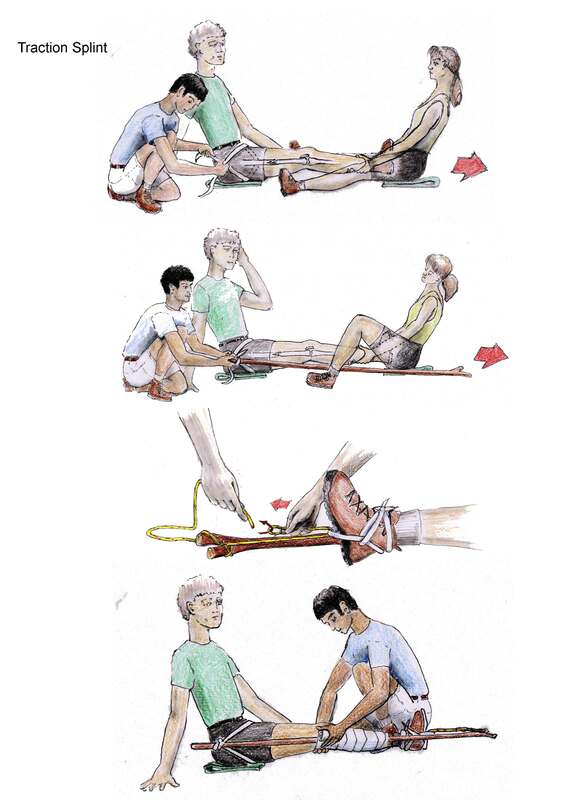 To test a painless hip: Flex, Abduct, and Externally Rotate (FABER). Pain with the FABER indicates injury to the hip joint or proximal femur. 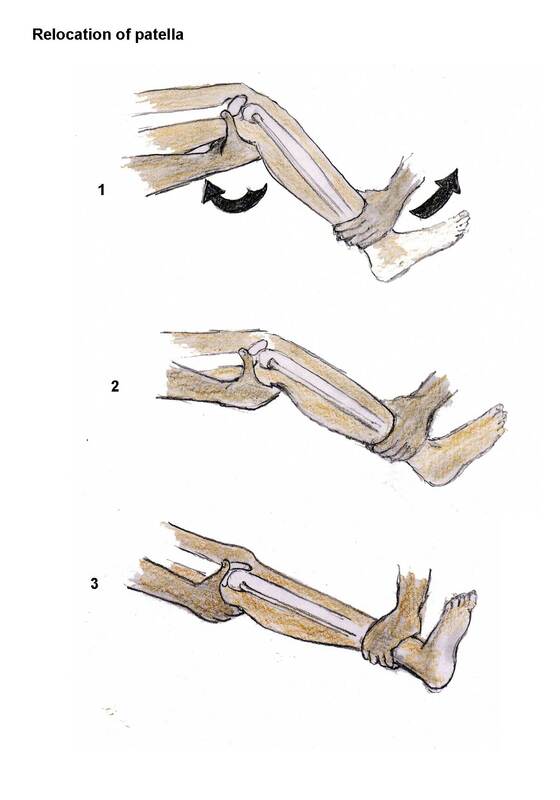 Splint with padding/pillow between the legs and tie the legs together, allowing the good leg to support the bad. The knee and hip are flexed and internally rotated. Most often caused by high velocity impact or can also occur in someone who has had a total hip replacement. We would be interested in learning of a mountain rescue (non-ski-related) that involved a dislocated hip. Splint in the position found. This would be a very difficult if not impossible dislocation to reduce in the field. A mid-shaft fracture of the femur is very painful and commonly has muscle spasms. The patient is unable to use the affected leg. They will have severe pain with palpation or leg movement. As soon as possible, apply manual traction. Always place in a traction splint with compression bandage around the femur to control internal bleeding. Since up to 25% of the blood volume can be lost into the fracture site, wrap the splint and the entire leg with 6” ACE wraps, starting at the ankle and progressing to the hip. Without traction there is up to a 50% mortality rate due to pulmonary emboli from the fracture.